Bristol and Chelsea start the action early Saturday evening, Durham have a noon kick off with Liverpool on Sunday, Birmingham host Doncaster at St Andrews and Man City play Everton at 6pm. Bristol City and Chelsea kick off the weekend’s ties early Saturday evening, as the Vixens face a tough task to get off the mark. 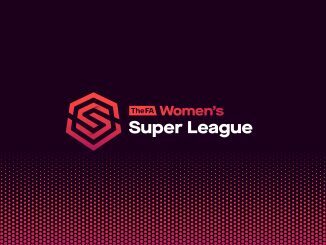 Emma Hayes’ high-scoring side put six past City in the league and look to at least temporarily wrestle the leadership from Tottenham, who host Hope Powell’s Brighton on Sunday. 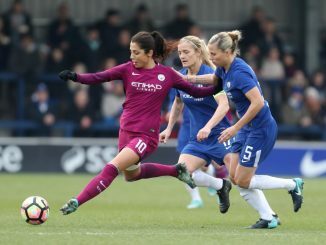 Birmingham entertain Doncaster at St Andrews in Group 2 North, while Manchester City will take top spot from Everton should they beat them in the evening game, although the Toffees only narrowly lost their WSL 1 fixture with Nick Cushing’s side. The top two in Group 1 South clash, with Arsenal looking to make it three wins in a row but Reading stand in their way. 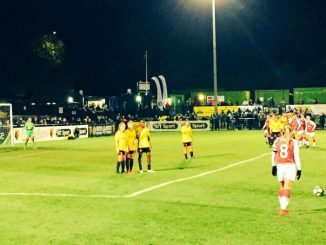 London Bees and Millwall meet with no points between them as yet but the Lionesses did win their league meeting 3-2 just last weekend. Liverpool will go top of Group 1 North if they win their game in hand on leaders Sunderland, when they travel to Durham for a noon start. Aston Villa chase a first point but are up against a Sheffield FC side that defeated them 2-1 last month and thrashed Durham on Wednesday.